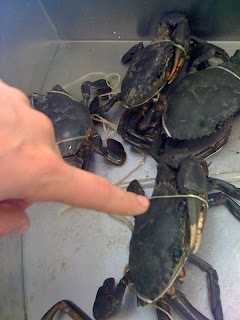 Poking crabs at Sam's seafood. Ha ha, stupid crabs. ha ha...not so stupid if they'd gotten ya.